The glacier walk and ice climb was one of the highlights of my trip to Iceland last May. 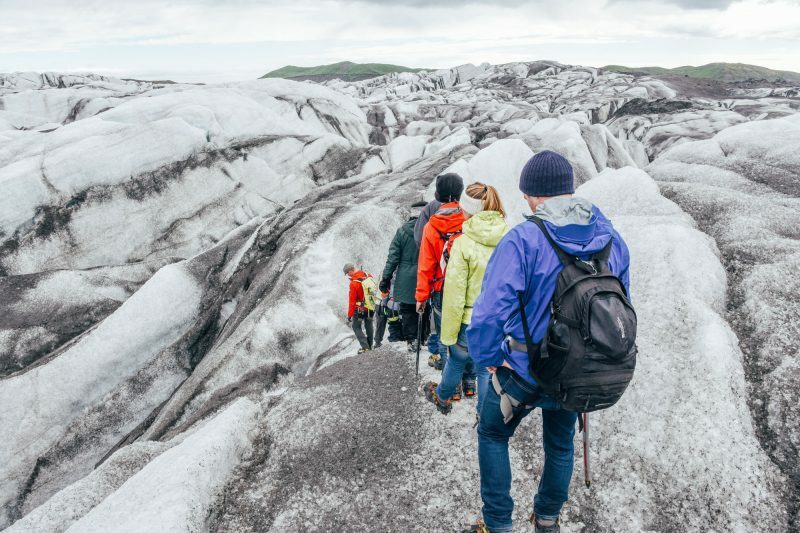 To be on a glacier of any sort is a great excursion but to be walking on one like Solheimajokull, which has changed so much in recent years due to Iceland’s volcanic activity, was fantastic. 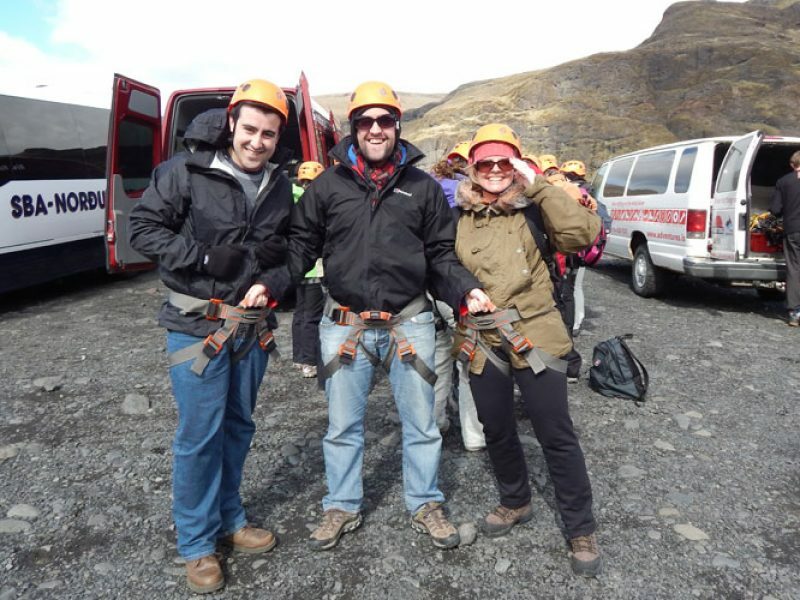 The excursion starts with the guides preparing you with your equipment – a harness, crampons and helmet – while sharing their knowledge of the area as you are getting ready. They clearly love their job and it is great to be the hands of a company who care so much about their clients as they do their local area and their trips (which is why we work with them!). The group are gathered and taken up on the glacier, with a stop on the way to buy lunch and to be shown cool ice caves, hollow holes and anything fun about the glacier that you pass on the way. Walking on a glacier is quite strenuous, and you soon warm up despite being on a massive glacier tongue! Fortunately though there are lots of opportunities to get fresh, cold water – straight from the glacier. You kick the crampons into the ice to get a firm stance and then use the ice picks to lift yourself up. I was a bit worried that I have no upper body strength, but you use your legs much more than your arms. It is certainly an activity for anyone wanting to experience something new. And I would recommend this to anyone!